Isn't nice when you find a green alternative to a product you use everyday that is not only healthier for you but it also saves you money? Well, I know I love it. Heck, I make a point to search out things and products like that which I use on a daily basis and I try to swap them for greener alternatives. Todays' case in point: deodorant. 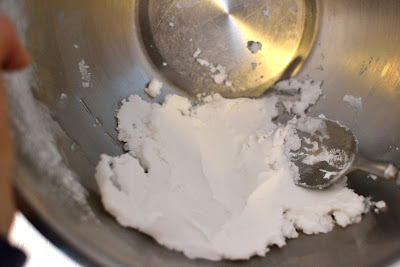 I really thought I would have reached a new level of "crunchy, hippie, granola mama" when I started making my own deodorant, but it really wasn't as drastic as I thought it would be. 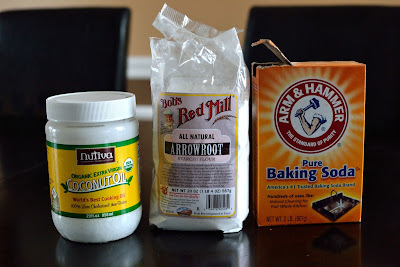 A few (3) simple ingredients mixed together keeping me smelling fresh, and happy as I go about my day chasing my toddler and teaching preschoolers. That's it folks. 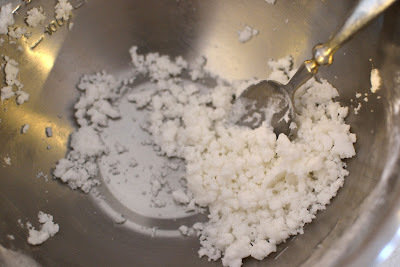 Even simpler is the directions: combine all the ingredients and store in a container, apply daily. Done! 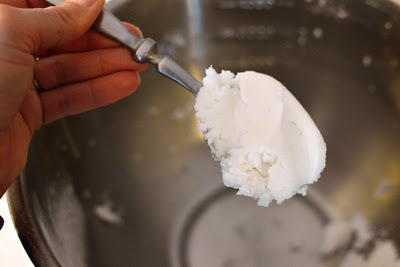 Well, if you like a short blog post stop reading there, but if you want to know a little bit more as to why you'd want to switch to making your own deodorant and some step-by-step photos of how to make it, keep on reading. What's wrong with traditional deodorant and antiperspirants? Well, there's one sneaky ingredient that is the trouble maker in most deodorants: aluminum. If you look at the back of your standard antiperspirant/deodorant you will notice that one of main ingredients is aluminum. Now although aluminum is great when it comes to blocking sweat it comes with a dark side. Frequent exposure to aluminum such as everyday use with antiperspirants, means it's getting absorbed into the skin and unfortunately aluminum toxicity in the body has been linked to Alzheimer's and cancer (specifically breast cancer since it is applied so close to the breast tissue). This leads to one main disclaimer about this deodorant: you will still sweat. Since this is just a deodorant recipe that means that while you will not stink, but you will still sweat. I've read a lot of other green bloggers mention that they sweat less than they did before as a result of using this deodorant. I can attest to this one too and I feel better knowing that my body can detox and release the toxins it needs to when I do sweat. Oh and I love knowing the short, clean, healthy ingredient list. not melt mine for this recipe, just straight out of the container). 3. 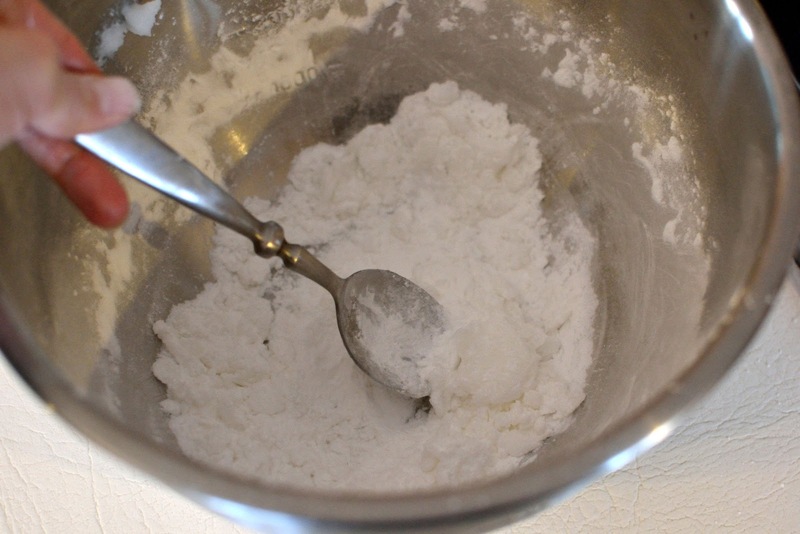 Last in the bowl is 1/4 cup baking soda. 4. Time to start mixing this will take 2-3 minutes. 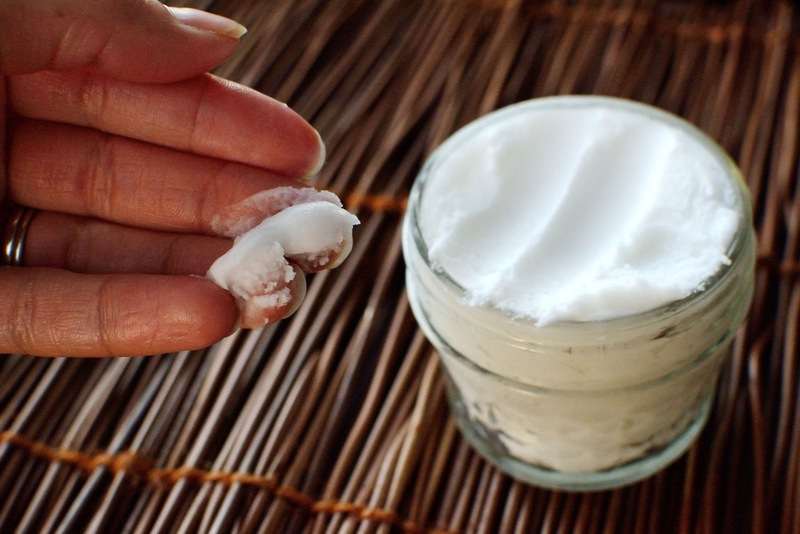 coconut oil, it's not needed. thick and smooth, not dry and crumbly. 7. I then spoon it into an air-tight container. I find that the recipe fits perfectly in these 4 oz. jelly jars. I store mine in my bathroom. I scoop a small amount out with my fingers and rub it into my arm pit, almost as if it's a lotion. Once it's all rubbed in, I move to the next side. Sometimes I find that it's helpful to wait a minute or two after applying the deodorant before putting my shirt on so that it won't rub off on my clothes. 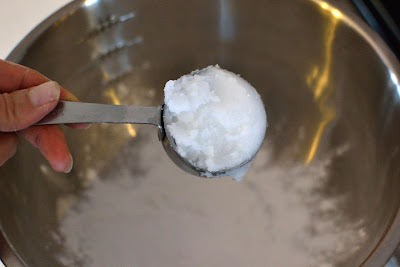 Coconut oil will change it's consistency based on the temperature where you live since it starts to melt at 76 degrees. So if it's cold where you live, it should stay soft, but solid. If you live in a warmer climate it may be more "melty" this isn't necessarily a bad thing because I think it goes on easier like this. 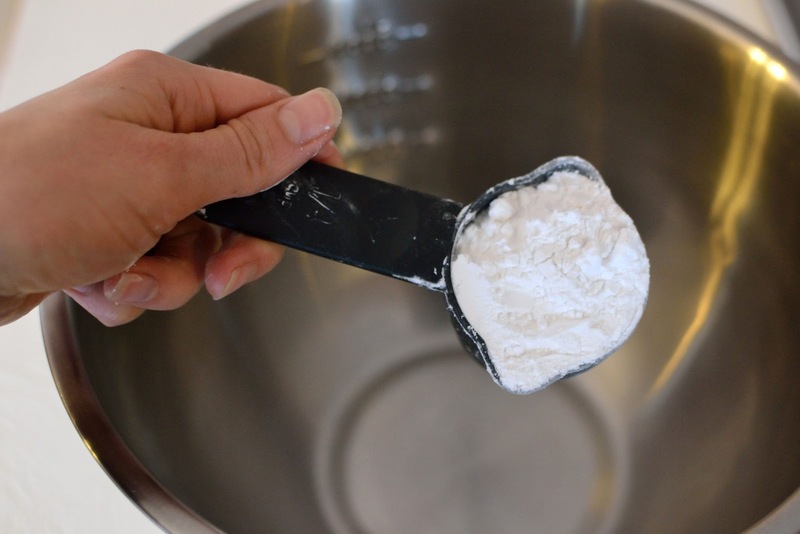 But if you want it to be more solid you could store it in the fridge and just take it out shortly before you need to use it. Feel free to add your own essential oils like lavender, tea tree oil, or any other essential oil you would like to give the deodorant a nice scent. Personally I like the lack of smell with this recipe, but if you like a little more fragrance with yours you could add it. I'd add it with caution though and be watchful if it causes any irritation. 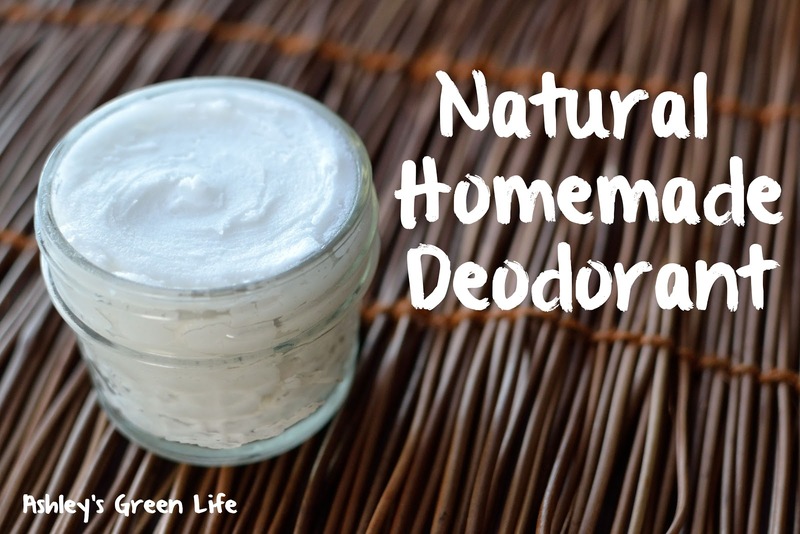 Hope this is able to not only green your deodorant routine, but also save you some "green"! Have you ever made your own deodorant? Share your favorite recipe or green deodorant brand below. Let's green those pits! Thanks! I love your blog, and I have already made my own deodorant. I found your description of how to wash your hair the no poo way very helpful. Hi Ashley! I used Secret for several years and it wasn't until this year that I've noticed my underarms got darker. So now, I'm very skeptic with what I use. I'm just wondering, have you noticed your skin getting darker? 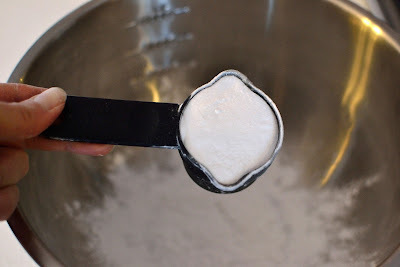 I've read that baking soda can cause irritation so I'm a little scared that the burning sensation might be what causes the darkening. Thanks!